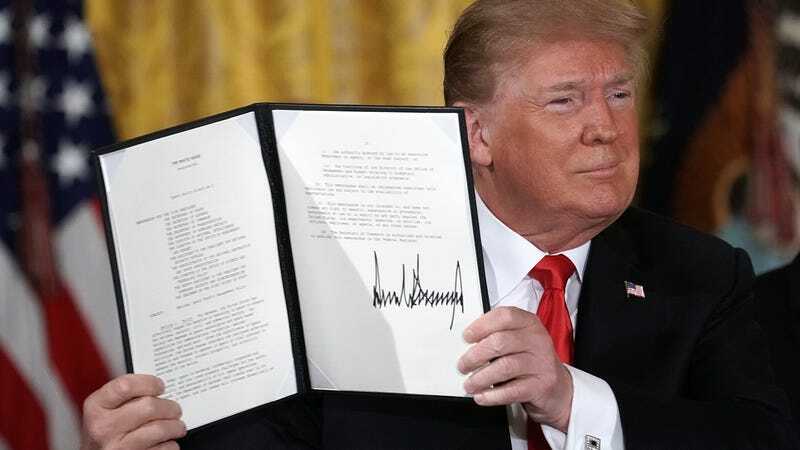 President Donald Trump holding an executive order to create the Space Force. For months, Pentagon officials have been rushing to prepare plans for an independent Space Force, a sixth branch of the military ordered up by President Trump. But since Oct. 26, they have been marching to new White House orders: go back and look at different ways to reorganize the military’s space operations. One of the four new options is an old one, defense officials said: a space corps that would be part of the Air Force, the way the Marine Corps is part of the Department of the Navy. The proposed structure is similar to a bipartisan proposal that passed in the House but failed in the Senate last year. Why the second thoughts? The officials, who spoke on the condition of anonymity, suggested that some in the Trump administration fear that the proposed independent Space Force might not make it through Congress. A former senior defense official said Pentagon officials would be more comfortable with a space corps within the Air Force, but feel Trump’s comments that he wants a “separate but equal” space force have given them little wiggle room. The four options, according to one of the officials, include: 1) an Air Force-owned space corps that includes only Air Force assets, 2) an Air Force-owned space corps that also takes space-related troops and assets from the Army and Navy, 3) an independent service that takes from the Air Force, Army, and Navy, and 4) an independent service that takes from the three services plus parts of the intelligence community. Can you hear me, Mr. Trump? ... A White House spokeswoman declined to comment. Pence Makes It Official—Space Force Baby!! !